Toshiba’s energy systems unit has unveiled a long telescopic pipe carrying a pan-tilt camera designed for an internal probe of one of the damaged reactor chambers at Japan’s tsunami-wrecked Fukushima nuclear plant. The device is 43ft long and is designed to give officials a deeper view into the nuclear plant’s Unit 2 primary containment vessel, where details on melted fuel damage remain largely unknown. 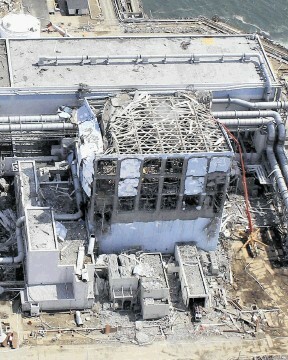 The Fukushima plant had triple meltdowns following the 2011 quake and tsunami. Finding melted fuel details is crucial to determining the right method and technology for its removal, the most challenging process during the plant’s decades-long decommissioning. A simpler predecessor to the new pipe captured a limited view of the vessel, and an even earlier crawling robot stalled inside the unit.